Passage Island Construction is proud to have built the individual custom homes in the Brennity at Vero Beach community – just one of several Brennity projects we have been involved with. Brennity Vero Beach is a senior living community located in Indian River County, FL, designed to accommodate seniors during every stage of their lives. Whether a senior citizen is looking for independent living in one of the beautiful custom homes built by Passage Island Construction, or needs the additional level of care offered by Brennity Vero Beach’s assisted living and memory care facilities, they will be part of the same active Brennity community. Passage Island Construction partnered with Sagora – the company behind the Brennity name – to get a sense for their vision for the project, so we could help them realize their goals. Sagora is known for exceptional senior living communities, so we knew the bar was set high before we began. They are committed to providing the highest quality living options for senior citizens; we were committed to providing the highest quality workmanship to help meet their needs. The homes and cottages we constructed for Brennity Vero Beach offer a variety of floor plans designed to accommodate active and busy seniors. Everyone’s lifestyle, preferences and budget are different – these homes were designed to appeal to everyone. Regardless of floor plan, at Passage Island Construction, we know it’s all of the little details that go into creating beautiful homes. 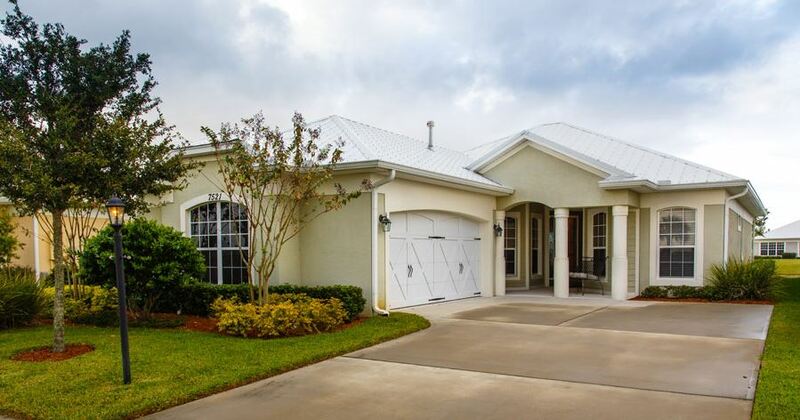 The Brennity at Vero Beach homes and cottages include lots of windows for natural light, beautiful hardwood flooring, roomy kitchens with plenty of cupboard space, and large bedrooms and bathrooms. These homes were designed to be open and inviting, from their attractive covered porches and entryways down to lighting designed to showcase the spacious rooms. We are proud of the quality, beauty and functionality in each of the custom homes we built for the Brennity at Vero Beach. From our very first planning and design discussions through the end of the construction process, we worked closely with Sagora to ensure we were delivering on our promise to meet their needs with quality craftsmanship. Considering a Custom Home? Contact Passage Island Construction Today! If you have been considering having a custom home built, or are planning on having a community of custom homes like the Brennity at Vero Beach built, you owe it to yourself to explore how Passage Island Construction can help make your vision a reality. To learn more about Passage Island Construction’s commitment to excellence, contact us online today, or call us at (772) 257-3500.